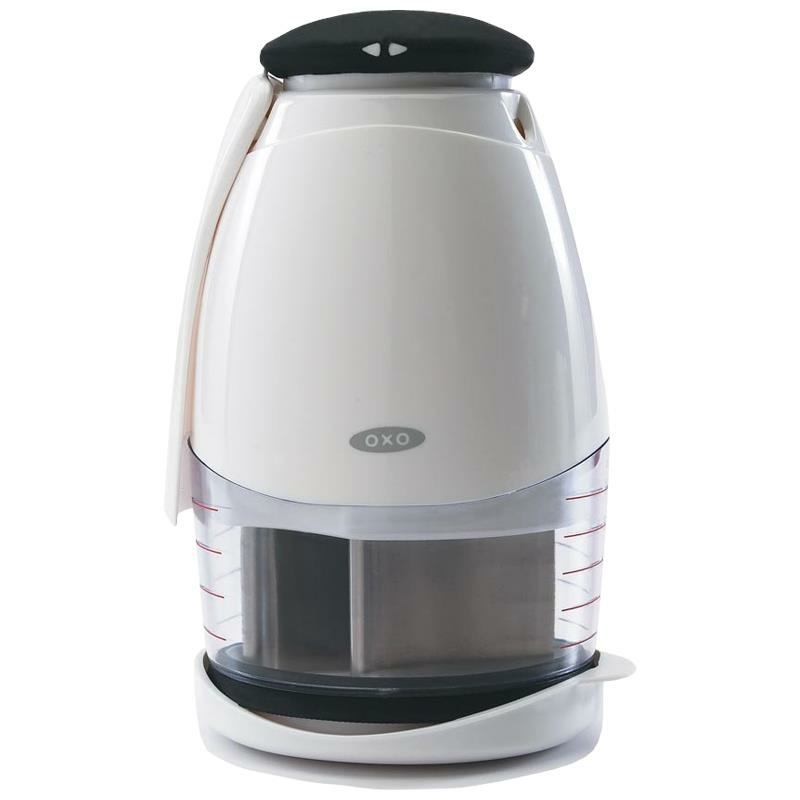 OXO Good Grips Deluxe Chopper is perfect for chopping onion, nuts, vegetables and herbs. By pressing down the soft knob on the top, the blades rotate for even chopping. It has internal soft bumper that absorbs any shock to increase comfort and sound quality. This chopper can chop ingredients in the enclosed cup with its soft, non-slip base which can be removed also to chop directly on a cutting board. - Locked: 3.75" x 4" x 6.75"
- Unlocked: 3.75" x 4" x 8"